The NRA 2017 Annual Meetings will be held in Atlanta, Georgia. The National Rifle Association (NRA) has officially uninvited the United States Concealed Carry Association (USCCA) from their Annual Meetings in Atlanta this year. This decision was apparently made within the last week, and has left many in the firearms community wondering “what gives.” Here’s a link to the NRA 2017 Annual Meeting showing the absence of the USSCA from the approved vendors list. Prior to this announcement the NRA and USCCA had seemingly worked very closely together to advance firearms training, education, safety, and individual rights for firearms owners. This was particularly true in the rapidly changing concealed carry landscape, made even more ripe with that change in every State to allow concealed carry. It will be very interesting to watch this apparent schism develop, and see where it takes two of America’s largest firearm owner associations. The USCCA has been rapidly growing since its inception in 2003. The President of the USCCA, Tim Schmidt, seems to think the decision to remove USCCA from the NRA Annual Meetings has to do with the phenomenal growth of his organization, and an apparent competitive conflict it creates. The USCCA has only been in existence since 2003, but in just 14 years has grown to over 200,000 members. In addition, USCCA just built a new 60,000 square foot headquarters and now has a staff that numbers in the dozens. The USCCA has taken a leadership role in the area of concealed carry of firearms. This includes training, understanding legal requirements, expectations during law enforcement contacts, and preparing for the life-changing event that causes a citizen to draw and/or use their firearm in self-defense or defense of others. About a week ago, I came in to work and found a FedEx letter from the NRA sitting on my desk. Now, I don’t know about you, but I LOVE getting mail from friends in the firearms industry. And since I’m a proud Lifetime Member of the NRA, and with their Annual Meetings and Exhibits just around the corner, I figured it had to be about one of those two things. As it turns out, the note inside was concerning the upcoming NRA Show in Atlanta, Georgia … just NOT in the way I was expecting. Long story short, the NRA sent over a brief letter with a very clear message: The USCCA would no longer be allowed to exhibit at their upcoming show in Atlanta. Yep … the NRA cancelled our booth space less than TWO WEEKS before we were scheduled to appear at the show. Now, you’re probably wondering what the heck is going on, and I’d be lying if I said I wasn’t a little perplexed myself. The truth is, I don’t really know the motive behind the NRA’s move. I mean, the USCCA has ALWAYS had a great relationship with the NRA. And the way I see it, we’re all in this together. If I had to guess, I’d say that perhaps this is a strategic business maneuver. I mean, the concealed carry market has really exploded over the last decade — just look at how long the USCCA has been around! Maybe the NRA recognizes us as the frontrunner in providing the absolute best education, training and self-defense insurance in the industry. And perhaps they’re starting to see us less as a partner and more as a competitor. As much as it sort of stings that we got “booted” from the NRA Show, I believe that this sort of competition is a good, healthy and even exciting thing — especially from a goliath like the NRA. When there is healthy competition in the free market, the CUSTOMER always wins. And in our industry — in our niche — that means MORE good guys and gals with guns. And you already know how I feel about that: The more good guys and gals with guns, the safer we all are! Whether or not the NRA supports us, we will continue to support them. We will continue to believe in their mission. We will continue to respect the historical significance of what they have done to preserve and protect our God-given rights. And we will always support their legislative and lobbying efforts. I personally will continue to donate to the NRA as a proud Lifetime Member. And even though you won’t find the USCCA booth at the NRA Show in Atlanta next weekend (although a few of us will still be attending), I want to reassure you that the USCCA isn’t going ANYWHERE. Trust me when I say that our beliefs, our values, our culture and our customers will continue to be the driving forces in all we do. The USCCA’s “why” stems back to the single, powerful desire to protect the ones we love. And I may be just a bit biased, but I truly believe that this will keep us a solid step ahead of the competition. Thanks for sticking with me. I promise I’ll always have your back! The NRA has been one of the premier firearms associations in America. With all the amazing growth of USCCA, and their expansion into an organization that is more than just a magazine, there seems to be some validity in Schmidt’s claim that NRA does not want to have a competitor at their Annual Meetings. Though perhaps understandable from a business perspective, it is still a shame for the firearms community. If true, this is very unfortunate. The NRA has been very successful in the last few decades. From expanding concealed carry laws, to successfully lobbying to end the AWB, to encouraging Americans to exercise their 2nd Amendment rights and educate themselves, the NRA has been the foremost leader in ensuring 2nd Amendment rights are maintained and expanded. The NRA now has over 5 million members, and continues to grow. It has been one of the leading firearms instruction organizations since its founding in 1871. This has included training in handguns, shotguns, AR-15 and other “tactical” rifles, and precision rifles. The NRA has a huge firearms shooting and instructing ranch called the Whittington Center in New Mexico. In addition, the NRA is the premier firearms instructing organization for America’s law enforcement agencies. In many States an NRA LE firearms instructor certification is a pre-requisite for firearms instruction to law enforcement officers. 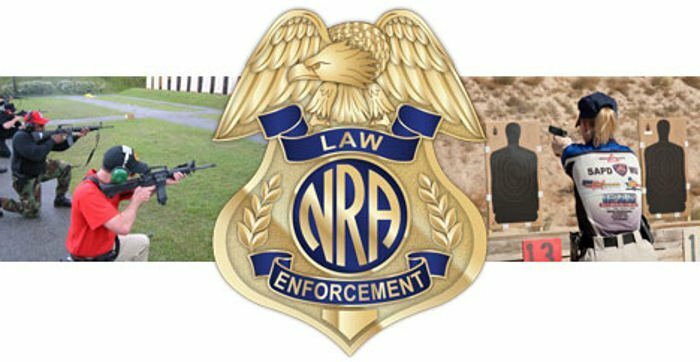 NRA Law Enforcement Training Division is regarded as one of the best sources for LE firearms instruction. Though the USCCA is highly focused on firearms instruction for the concealed carry crowd, could the enormous growth in this area of firearms owners be a reason for NRA to back away from USCCA, seeing them as competitor rather than partner? I really hope this isn’t the case. However, as a Life Member of the NRA I have sensed a rather exclusive stance by NRA to other firearms organizations seeking support. I understand a divided front can lead to a weaker approach, but I also tend to agree with Schmidt that healthy competition can bring out the best in all. I am very glad to see USCCA will not use this snubbing by NRA to withdraw their support for NRA. It appears USCCA is taking the high road in this event, and I hope they reap the rewards for doing so. Hopefully, the two organizations can mend their relationship, but ultimately I just hope they work together to promote firearms rights and better training. The conceptual design of the new 60,000 square foot USCCA headquarters building (photo from USCCA). Schmidt started USCCA by investing nearly all of his savings to produce the first “Concealed Carry Magazine” back in 2003. As a young father, Schmidt realized the importance of protecting his family. At that time there were a few organizations talking about some of the issues facing citizens who carried concealed firearms, but nothing was organized or comprehensive. Schmidt decided to funnel his newly sparked passion to protect his family into an organization that would bring all the components of concealed carry under one roof. Remember, in 2003 there were still quite a few States that did not have favorable concealed carry laws. However, the movement to change that status was in full gear. The NRA has been one of the biggest advocates and lobbying organizations to accomplish “shall issue” status for lawful citizens who desire obtain permits to carry concealed. Author shooting an AR-15. The AWB’s expiration has seen an enormous growth in popularity for the AR-15. In 2004, then President George W. Bush allowed the Assault Weapons Ban (AWB) that had been signed into law by his predecessor President William Clinton, to expire. After 10 years of very arduous and restrictive laws to prevent citizens from owning certain “scary” firearms, America was primed to spark one the greatest firearms purchasing surges in history. It wasn’t that everyone wanted to buy an AR-15 in 2004, though that rifle’s popularity has surged immensely since then. I believe Americans saw through the gun prohibitionists ultimate goal (banning firearms and not just restricting them), and awoke to take full advantage of their 2nd Amendment rights. This awakening has actually been felt the most strongly in the handgun industry, as many citizens want to have a means for self-defense wherever they go. BSD recommends 100% off-duty carry, and strongly support civilian CCW. When President Barrack Obama came to office, he pledged to renew the AWB, and go even further in restricting firearms in the hands of civilians. Thankfully the groundwork for freedom had already been laid, and now every State has some form of concealed carry law (though a few still make it nearly impossible to obtain). Some have considered Obama as one of the greatest firearms sellers in American history. It is true that during his presidency firearm sales have rocketed to levels never before realized. Some of the sale numbers have to be attributed to “surge” or “panic buying.” However, if you consider it was Obama and the gun prohibitionists working with his administration that exposed even further their intent to ban firearms, one can see that “panic” buys can really translate into an exercise of a right to purchase with an understanding some want to take that right away. During Obama’s tenure the truth came out like never before. The prohibitionists, including Obama, stated they would love to see “Australian gun laws” or “British gun laws” in America. They used thinly veiled smooth talk like “sensible gun laws” to espouse their true ambitions. Americans saw right through this, and quickly realized the administration was truly seeking to prevent firearms sales, and ultimately seize firearms already in possession of lawful citizens. That is exactly what happened in Australia and the United Kingdom, and was facilitated with similar “sensible” talk about firearm ownership. These conversations, compounded by actual legislative moves to accomplish the very restrictive measures seen in other countries, has been the real reason for Americans waking up to the attack on their Constitutional right. The result has been some of the largest growth in the firearms industry in history, and the huge spike in firearms purchases as well. 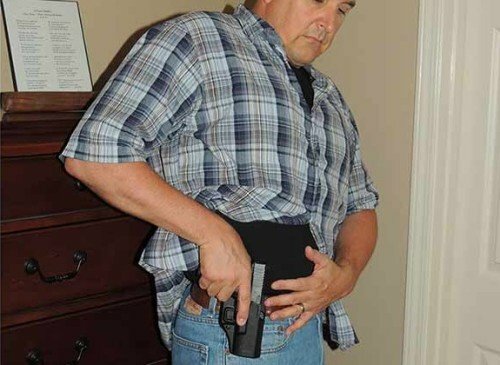 Carrying a concealed firearm is a tremendous responsibility, and USCCA does a great job navigating the hurdles. All of the political climate of the mid 2000’s until present provided the fuel to boost USCCA from a one-man show to an organization of over 200,000 members. The USCCA has also been recognized as one of the fastest growing organizations in America by Inc. 5000. Expanding into a new headquarters building, growing their staff, and broadening their educational reach are all beneficial to the firearm’s community. The BlueSheepdog Crew are strong advocates of the 2nd Amendment, the right of lawful civilians to own and carry firearms, and strongly recommend our law enforcement officers to carry a back-up and off-duty firearm. USCCA has been a bright light in the relatively young area of concealed carry of firearms. In the last 30 years the entire landscape of firearms ownership has changed dramatically. The move that lead to all States having some form of concealed carry of firearms law is just one of those dramatic changes. With the change of atmosphere, comes a change in education, and USCCA has been a leader in providing this training to lawful firearm owners. From actual firearms training, to informative and instructional printed and video materials, USCCA stands poised to continue its monumental growth well into the 21st Century. I for one, am very glad there are organizations like USCCA and NRA to secure our liberties, or Constitutional rights, and provide excellent formats for learning and expanding firearms knowledge and skill. At what point does an organization that focuses on only a piece of the firearms pie, stand in contradiction or direct competition to the NRA who claims to represent the entire pie? I guess that is the million dollar question left to be resolved by NRA’s decision against USCCA.